ISF#5 IS AVAILABLE FOR YOUR FREE DOWNLOAD! You can download today the PDF file. Tomorrow you will also have access to the mobi and the epub files for free! We are really proud to publish this issue with fiction by Thomas Olde Heuvelt (Netherlands), Francesco Verso (Italy) and Manual Alves (Portugal), news (the new Around the World Column with an ISF Alumni department by Nas Hedron), interviews (At Home in the Wasteland: The Art of Sergi Brosa by Saul Bottcher), reviews (The Best of Philippine Speculative Fiction 2005-2010 by Sean Wright) and articles (Social Science Fiction by Hunter Liguore)! Please download it and let us know what you think of this issue! Last year, right around this time, ISF launched its first issue. In a way, then, this is the magazine’s birthday, and to celebrate you all get a gift. It’s the brand new issue of ISF, and like all gifts it’s free. Issue #4 features three (yes, three!) winners of the World Fantasy Award. We also take an in-depth look at one of those authors, Zoran Živković, with one of his stories, an article about his work, and an interview with the author himself. 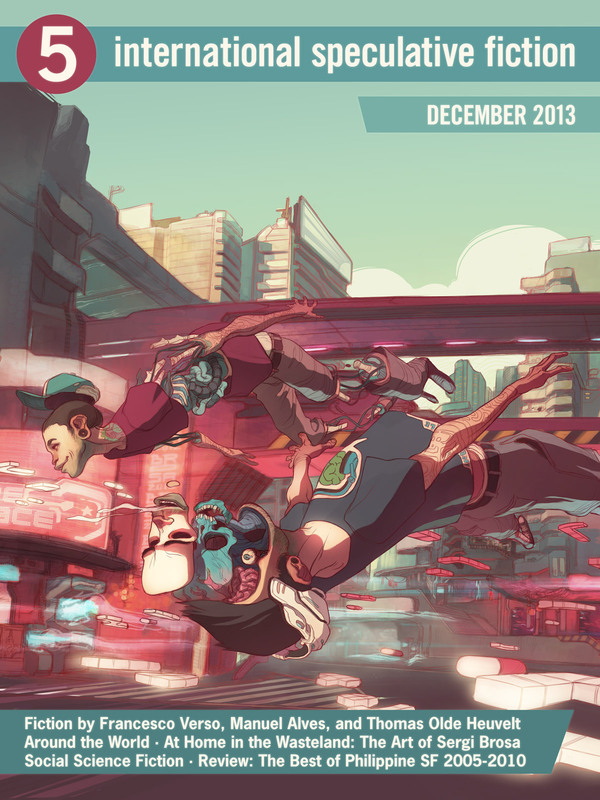 All that, plus reviews of speculative fiction from around the world. So go ahead, open your gift! P.S. We’d love to hear what you think of our latest issue. Write us at correiodofantastico@gmail.com and let us know what you think. UPDATE: FREE DOWNLOAD ALREADY AVAILABLE! 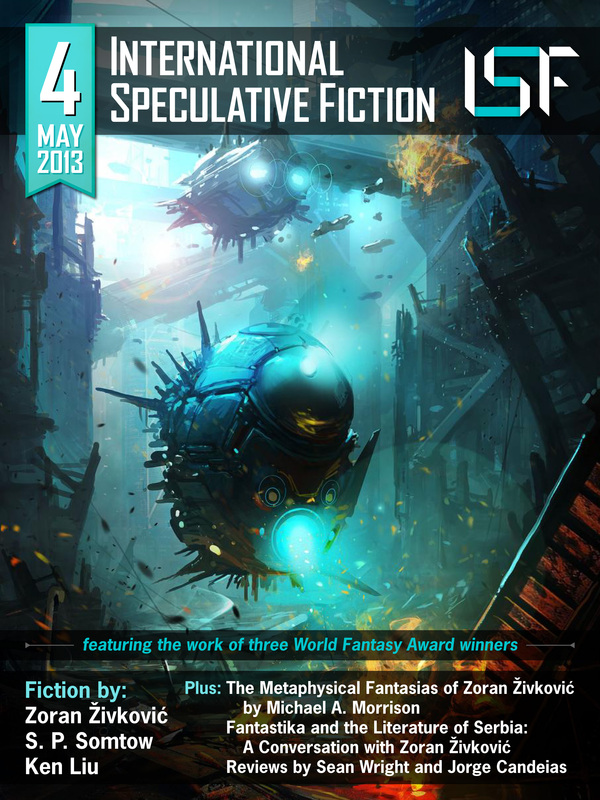 THIS ANTHOLOGY WILL ONLY BE AVAILABLE FOR YOUR FREE DOWNLOADING UNTIL 10 MAY 2013, SO HURRY UP! DOWNLOAD LINKS WERE EXCLUSIVELY AVAILABLE UNTIL 10 MAY2013! This is a joint effort of ISF and Europa Sf. 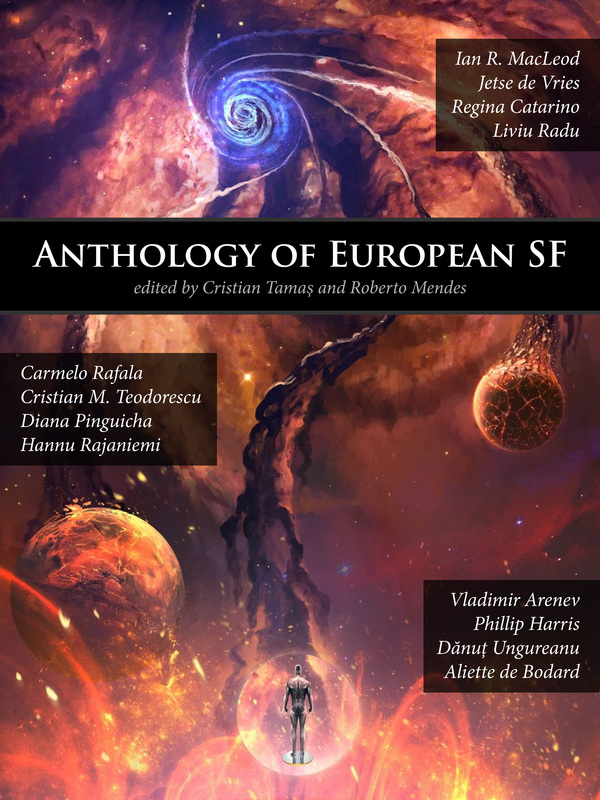 Available for free (starting tonight), the ANTHOLOGY OF EUROPEAN SPECULATIVE FICTION, edited by Cristian Tamas and Roberto Mendes, features fiction by: Ian R. MacLeod (England) Jetse de Vries (Netherlands) Regina Catarino (Portugal) Liviu Radu (Romania) Carmelo Rafala (Italy) Cristian Mihail Teodorescu (Romania) Diana Pinguicha (Portugal) Hannu Rajaniemi (Finland) Vladimir Arenev (Ukraine) Philip Harris (England) Dănuţ Ungureanu (Romania) Aliette de Bodard (France) Artwork by George Munteanu, Cover Design by Saul Bottcher, Copy Editing and ebook formatting by Elizabeth K. Campbell, Slush Reading by Raquel Margato and Alexandra Rolo You can download it here: https://internationalsf.wordpress.com/ http://scifiportal.eu/ epub, mobi and pdf versions for free! European SF anthologies are rare as pink diamonds, and it seems that American editors have been more interested in collecting and presenting European SF stories than European editors are (for instance, The SFWA European Hall of Fame: Sixteen Contemporary Masterpieces of Science Fiction from the Continent (2008), edited by James Morrow and Kathryn Morrow and featuring James Gunn, Donald Wolfheim, and others). It’s as though someone is a European only from a distance—from America, for example! Who inhabits Europe ? Europeans? Well, yes and no. Europe is inhabited by Germans, Frenchmen, Britons (from time to time, depending on the continent’s weather), Italians, Spaniards, Portuguese, Swedes, Poles, Dutchmen, Russians, Ukrainians, and so on. We’re Europeans only when we’re visiting other continents, but not at home. There are exceptions to the rule that European editors are uninterested in European SF, including Austrian editor Franz Rottensteiner (View from Another Shore, 1973), French editor Olivier Raynaud (under the pen name of Richard D. Nolane, working with American publisher DAW Books, Terra SF : The Year’s Best European SF (1981), and Terra Science Fiction II: The Year’s Best European SF (1983)), and Spanish editor Domingo Santos with the Ciencia ficcion europea (1982). But the general trend remains. What’s the reason for this lack of interest? Why do we only have a few European SF anthologies compiled by European editors? Why should a culturally diverse continent like Europe being incapable of finding a common way to publish its own SF on regular basis? Or, even better, collecting that fiction in English, so that more readers can read it?